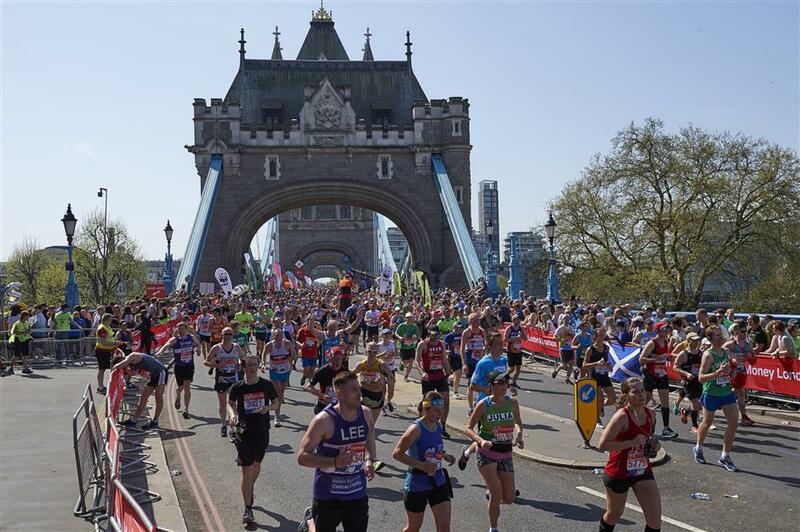 A 29-year-old man has died after collapsing while running the London Marathon on Sunday, organizers announced on Monday. Runners pass the Tower of London during the 2018 London Marathon in central London on April 22, 2018. "With deep sadness, we confirm the death of a participant in the 2018 London Marathon," a statement announced. Matt Campbell, a professional chef from the Lake District, collapsed at the 36-kilometer mark and, although he received immediate medical treatment on the scene from race doctors, he died later in hospital. The statement said that Campbell was a well-known chef and was running for The Brathay Trust and in memory of his father, Martin, who died in the summer of 2016. It said that Campbell was a "keen marathon runner" and had earlier this month completed the Manchester Marathon under three hours.